As promised, here is the official standalone news of the cancellation of Harry's Law, the David E. Kelley courtroom show that pulled in relatively strong numbers—making it the second most-watched drama on NBC, just behind Smash—yet still somehow did not merit a third-season renewal at a network where that would be considered a major triumph. (Of course, we've long since given up trying to understand the whims of NBC.) 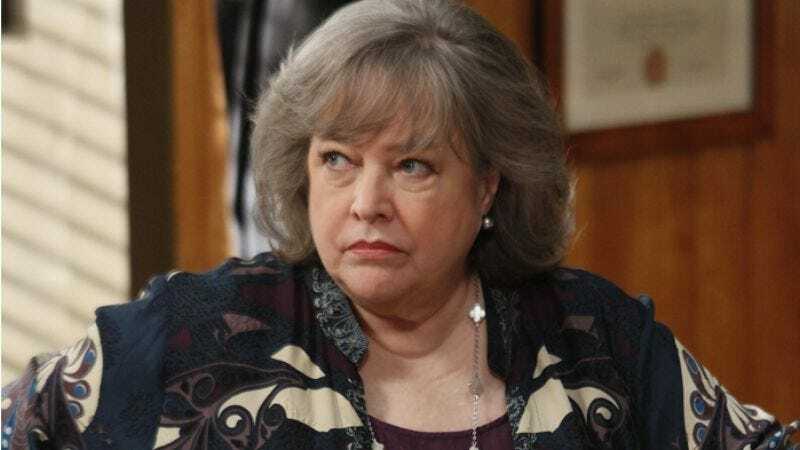 Series star Kathy Bates broke the news on her Twitter account, which she has, saying, "Sad news today. Harry’s Law will not be renewed for a 3rd season. We are all terribly sad. Many thanks for all your support." Hopefully Bates will be able to find another show where people say and do asinine things around her and then she can look at them all like, "Oh, puh-leeez."